Guys for the benefit of the newbies joining our ever expanding foruma nd air side of the re enacting hobby...i thought that the old hands in the hobby may gave some input into the kit list for the new base personell. I have a personal liking towards shearling which means early war. 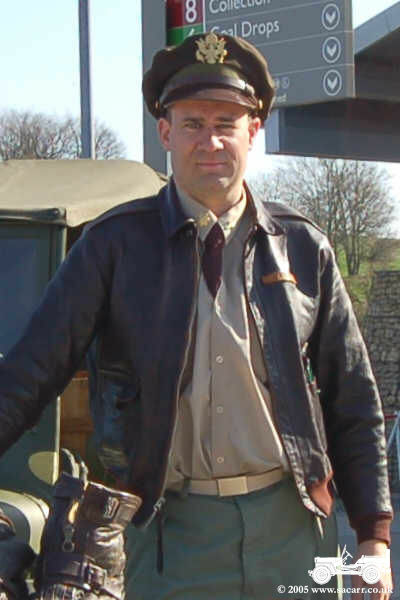 As I have a waist gunner fetish I will add my own list of what I believe to be a generic gunner. For now I will only list what is seen on the outside as this list will be a long one. May have missed a few items but some one will make up for it. Would you happen to have 20,000 rounds of 50.cal ammo as well? A kit list is good, but for a newbie, it may also be helpful to know what the various items look like, so here's a few pics of some of my stuff! 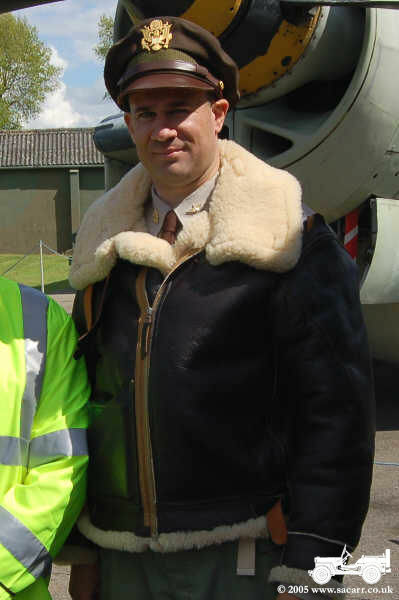 A-2 Summer flying jacket. 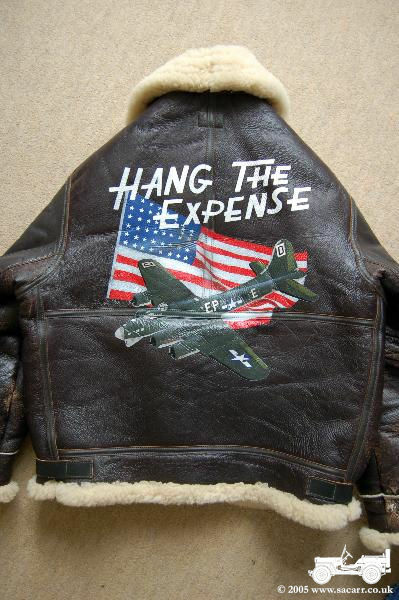 A proper A-2 back panel is made from one piece of leather. Cheap copies often have the rear panel of the jacket made from two or more pieces of leather with seams. It is more cost effective for the manufacturers to use smaller pieces of leather and add seams to get more out of each hide. This is an Eastman made Jacket. Last edited by Army_Air_Force on Tue Aug 02, 2011 4:31 pm, edited 1 time in total. 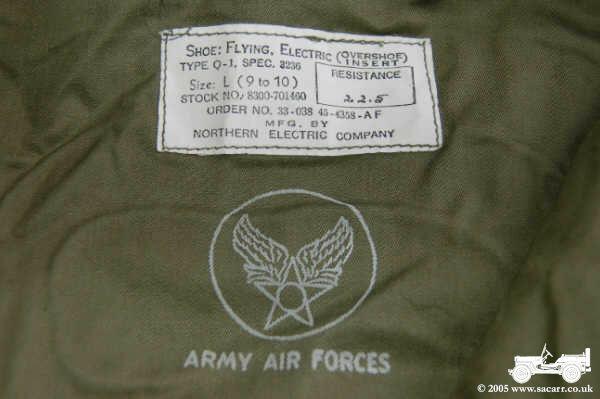 B-3 Fleece Lined winter flying jacket. Very warm and great for in the Jeep in winter time! Last edited by Army_Air_Force on Tue Aug 02, 2011 4:32 pm, edited 1 time in total. 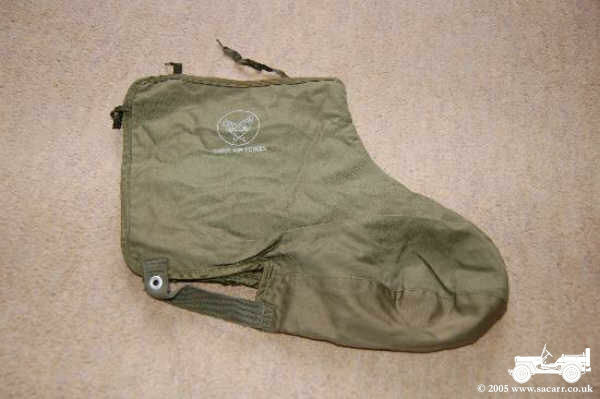 A-4 Chest Parachute. A 'Yellow Group' item. 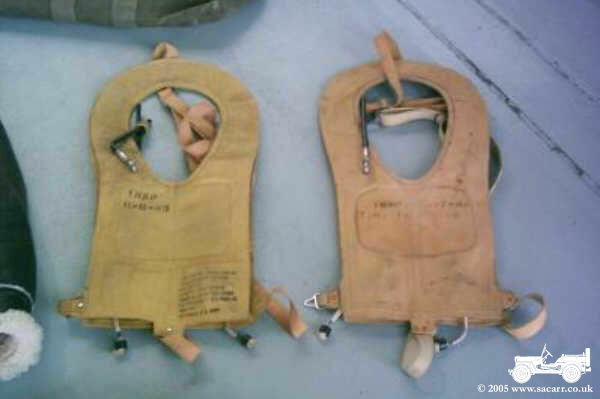 Parachutes and harnessed changed and developed during the war. Some 'chutes had loops for attachment, while the harnesses had snaphooks to attach them. 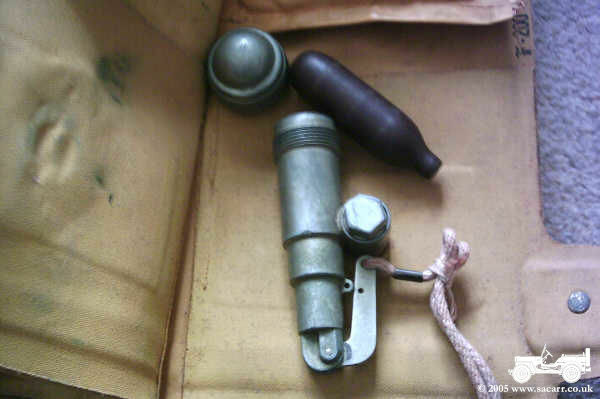 Other 'chutes had the snaphooks, while the harness had the loops. To make sure you had the correct match, the 'chutes and harnesses were colour coded Yellow and Red. A-6A Flying Shoes. The A-6 shoes were an earlier type with just a zipper fastening. During bail out, these shoes/boots often flew off the feet of the wearer. 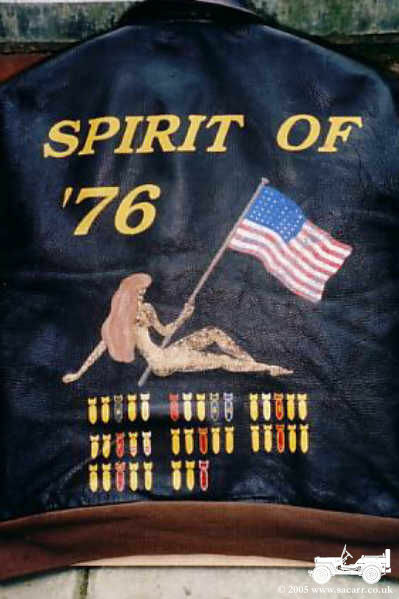 To help combat this, the A-6A's had two buckle fastening straps in addition to the zipper. Last edited by Army_Air_Force on Tue Aug 02, 2011 4:33 pm, edited 1 time in total. 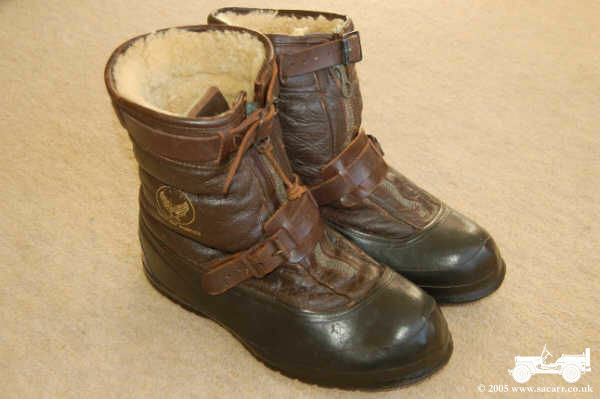 Part of the heated flying suit was the Q-1 Flying Shoe Heated Inserts. These thin double layered items have electrical elements sewn between the layers, and two press stud contacts for the electrical connections. B-4 Life preserver. 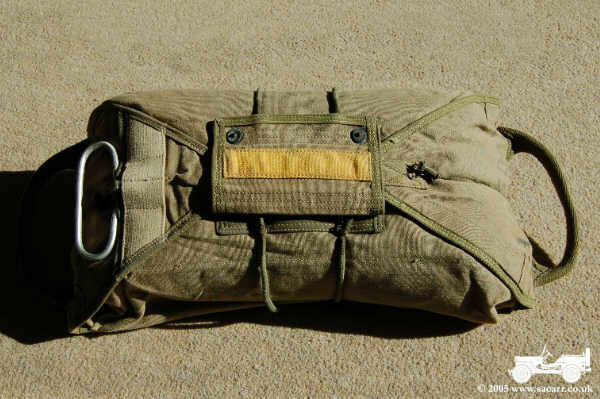 In addition to the gas bottle activation, there are two rubber inflation tubes to allow topping up of the jacket by mouth. Behind the first layer is the gas bottles and activation triggers, operated by pulling on the toggles hanging at the bottom of the preserver. There is also a small pouch on the left side beneath the first layer with a dye marker.